Bryan Ferry - Ready Steady Gone! I’d heard about Bryan Ferry eight years or so before he hit the charts with Roxy Music in 1972. His name cropped up in a chance conversation I had at a party in 1964 and for some reason it stuck in my memory, at least for another year until I met the man who actually launched Bryan Ferry’s career as a singer. One of my first bands in 1964 was a five-piece covers band called the Conrads. We played popular hits by the Beatles, Kinks, Rolling Stones and Dave Clark Five. The local church youth club dance in Hendon, Sunderland was our only regular booking but we occasionally did a party or wedding reception elsewhere. We did exactly that and watched a bunch of indifferent rich kids scuttle off to the lavish spread of food in the dining room. After the feast had ended, we played a little more; this time with the lounge door open. Later on when the guests had loosened up a bit we did actually get to speak to a few of them. I got talking to an ‘uptown girl’ who told me that she and her friends followed a band called the Banshees and that she was in love with their singer – a guy called Bryan Ferry. She told me that she was sixteen and that Bryan was a couple of years older than her and was very cool and sophisticated. She didn’t actually say she was going out with Bryan Ferry but that was implied. I did ask her why the Banshees hadn’t been asked to perform at the party. She replied that they only played at large venues and in any case didn’t play ‘pop’ music like the Conrads. 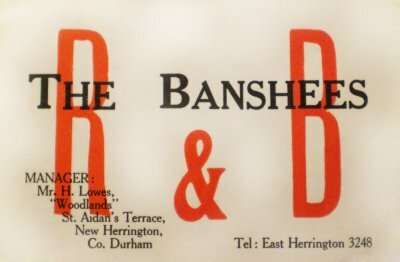 The Banshees were a Rhythm & Blues group and played good music. A year later I joined one of Sunderland’s top bands – the Jazzboard. Their vocalist, Bruce Lowes had been the drummer in the Banshees in 1964 at the same time as Bryan Ferry. Bryan Ferry, of course, wasn’t famous at that stage so normally there would have been no reason for Bruce and me to talk about him. Except for the fact that Bryan Ferry had started up a band with a similar name to ours – it was called the Gas Board. The Gas Board played similar material to Jazzboard and we were both competing for the same venues. 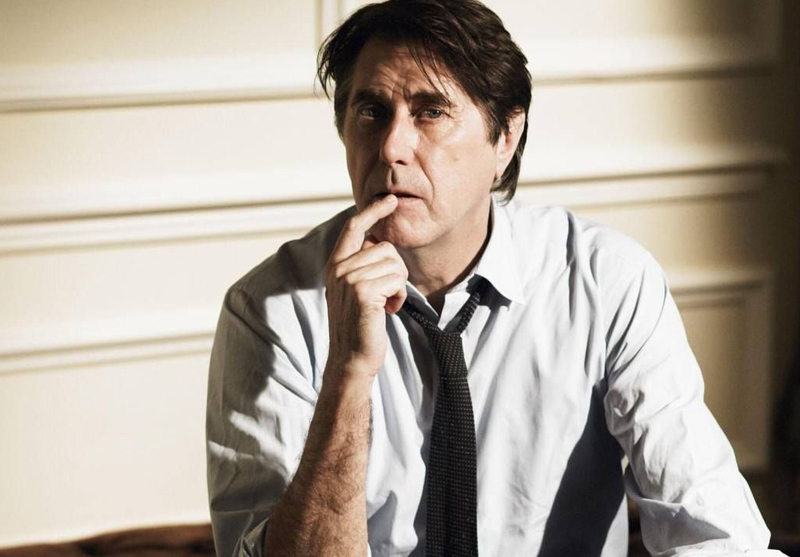 In that respect, Bryan Ferry did become a conversation piece if only because of the rivalry between the two bands and the perceived contention between the two ex-band members as to who was the better vocalist. And that was how I remembered the name of Bryan Ferry up to the time he came to prominence with Roxy Music in the early seventies. Then he became etched on everyone’s memory forever, not only as Roxy’s front man but as the suave cool style icon of the next few decades. By all accounts Bryan Ferry did well academically at Glebe Primary School. He was also very sporty. He was in the football teams at both his primary school and Washington Grammar School where he attended after passing his ’11 plus’ exam. As a youth he read a lot and also had a keen interest in music and amateur dramatics. His first taste of fame came aged fifteen when he appeared in a Washington Grammar School production of Shakespeare’s Twelfth Night. 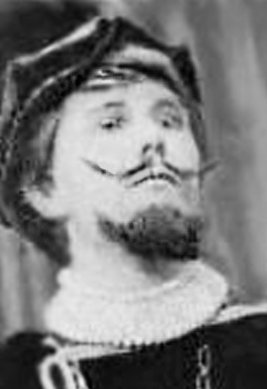 Bryan Ferry played Malvolio and his picture appeared in the Sunderland Echo newspaper along with a review of the performance. By the time he’d reached his teens Bryan Ferry had developed tastes in music far beyond his years. He wasn’t satisfied with the American singers who dominated the UK charts in the early sixties; the likes of Bobby Vee, Bobby Rydell, Frankie Avalon and Bryan Hyland. Bryan Ferry preferred the more down to earth sound of Rhythm & Blues and the sophistication of modern jazz. He boosted his knowledge of the music scene when he was a paper boy delivering, amongst other things, the weekly music paper the Melody Maker, which he read cover-to-cover on his round. When he was in the sixth form at Washington Grammar School he started going to Newcastle for nights out, visiting jazz venues such as the Downbeat and Club A’Gogo. While still at school Bryan Ferry joined a racing cycling club called Houghton Clarion. Cycle racing was popular with teenagers in the late fifties and sixties, in particular in the northeast. Amongst the members of Houghton Clarion was a champion racing cyclist called Pete Chisman who won many awards in the early sixties, including the 1963 Milk Race. Chisman would have influenced many young people at the time to join and remain at the club. Bryan Ferry was probably one of them. 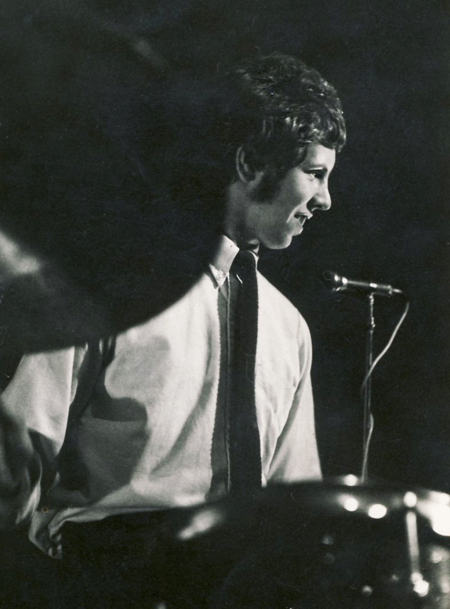 “I was born in June 1945 and by the early 60s I had taught myself to play drums. I was also a member of Houghton Clarion Cycling Club. Bryan Ferry was a member of the same club. I remember him being a tall slim lad with a short haircut like the rest of us. The club was comprised of cliques and we were in different ones but we knew each other as fellow members. I had gone to the club one night late in the season and Bryan was in the bike shed looking at the array of lightweight bikes. During our chat I told him of my plans to form a band once I could play well enough. It turned out we both liked the same music. “On the way home I was thinking about Bryan. He seemed to have a kind of aura around him – a nice guy and so cool. It was then that I realised he would be a great front man for a band. 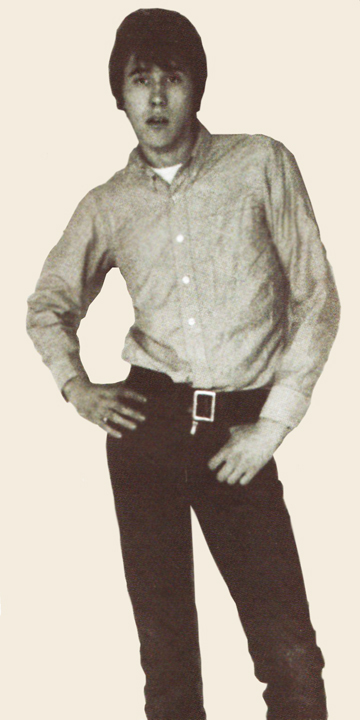 Even though I had never heard him sing – I just knew. “Autumn came and I didn’t see him at the club. I had formed a band called the Banshees and was singing and playing drums. 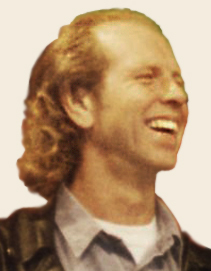 I couldn’t get Bryan or rather my vision of Bryan out of my mind. 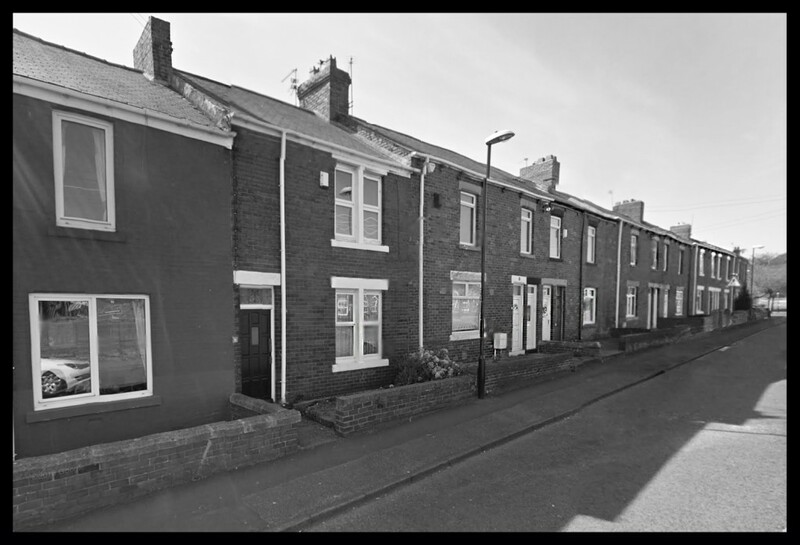 So one day I cycled to his house at Biddick but there was nobody at home. The lady next door said that the family was out for the day so I cycled home. “I kept rehearsing with the Banshees in my dad’s hairdressing shop. I hadn’t seen Bryan for months and it must have been March when I went to the cycling club in the hope of seeing him. I hung around a while but he didn’t turn up so I headed home. As luck would have it, I bumped into Bryan coming in the other direction. We stopped and talked for a while. He said that he was finishing school that year and would be going to university in Newcastle in September. I reminded him about the band and told him that we still needed a singer. I suggested that he had the style and looks to be a good front man. I persuaded Bryan to give it a go and come to a rehearsal. He said he could only do it for four or five months but that the extra cash would come in handy. He agreed to come to a rehearsal the following Wednesday. I was delighted and set off for home. “Wednesday came around and Bryan Ferry turned up as arranged. I’d never seen him in anything else but cycling clothes. His hair was fairly long by this time. He looked very arty and trendy rolled into one. He wore a green blazer, a washed out blue work shirt that looked like a levis shirt, a purple slim tie with the top button on the shirt shirt loose, blue denims hanging around his hips and brown suede casual shoes. He looked the biz. “We talked about what songs to play and Bryan asked if we knew ‘Talking About You’ – a Chuck Berry song. I said ‘Oh sure – we can play a lot of his stuff’. Bryan seemed a bit more relaxed when he knew what he was going to sing. I had sensed he was a bit nervy. He had a filter tip cigarette in his mouth, which had been half smoked and nipped as an economy measure. “Bryan being an arty person loved the hairdresser’s shop where we rehearsed. It had new G-Plan furniture, a row of white sinks with hot and cold water and armchairs with built in hairdryers. Bryan laughed, sat in an armchair and put his head into one of the dryers. He said it felt like a space helmet. He switched it on for couple of seconds then said ‘Ho ho, what a jape.’ This became the group catchphrase for the life of the band. We all laughed out loud. Bryan had broken the ice with the band within five minutes flat. “After bit more fun we got down to playing. We warmed up with an instrumental. It would have been ‘Walk Don’t Run’ or ‘FBI’. Then it was up to Bryan. I think the song he sang first was ‘Not Fade Away’ followed by one of the four other songs we did that night – ‘Talkin’ ‘Bout You’, ‘Around And Around’, ‘Johnny B Goode’ or ‘Bye Bye Johnny’. “When we started to play, Bryan was moving to the left of the microphone and was about a yard from it. He almost missed his cue to sing. He lunged at the mike and right on time began to sing. We got right through the song OK but Bryan felt the key was too high for him. We changed the key and did it again. This time Bryan sang it with ease. We rehearsed until about nine o’clock and got four or five songs off. Bryan loved the practice session as we all did. We all chatted for a while about what music we would do the following week. We packed up our gear and as we left the shop we saw we had an audience of a dozen young people who had been listening outside. They said we were great and they would come to listen to us every Wednesday. We had fans! “With Bryan now in the Banshees we continued to play through the summer. Bryan was getting better and gaining confidence with each performance. He also gave the band a great image. “One Saturday Bryan and I went to Newcastle and mooched around the music shops and put our Banshees card on the notice boards as was common practice then. I felt we had made our mark! On the way home Bryan said he would love to have a couple of dancing girls on stage with us and joked about going on stage dressed like a French burglar with black and white horizontal stripped top black beret black mask and maybe a poodle. I laughed and so did he but I often wondered if he was joking. However, the way things turned out who knows. 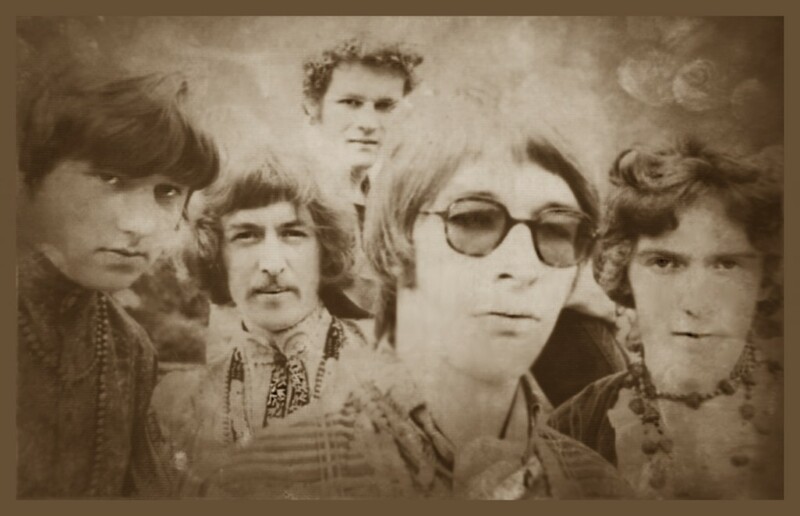 “At the end of the summer Bryan left the band and went to university. I kept the band going for a while but it folded a month or two later. The band started rehearsing in a room at Henderson Hall, the hall of residence where Bryan Ferry lived in his first year at university. The City Blues Jug Blowers was basically a Rhythm & Blues outfit in the same vein as the Banshees and probably covered a lot of the same material; songs by Chuck Berry and John Mayall’s Bluesbreakers. The band consisted of Bryan Ferry on vocals, a fellow resident of Henderson Hall, Phil Chugg on piano, a bassist, guitarist and drummer. The band’s name was later shortened to City Blues. In the following year City Blues managed to secure gigs at some good clubs in the Newcastle and Sunderland areas; clubs such the El Cubana and Blue Note in Sunderland; the Manhole in Wallsend and the Club A’Gogo in Newcastle. This was quite an achievement for a band that hadn’t been in existence that long. 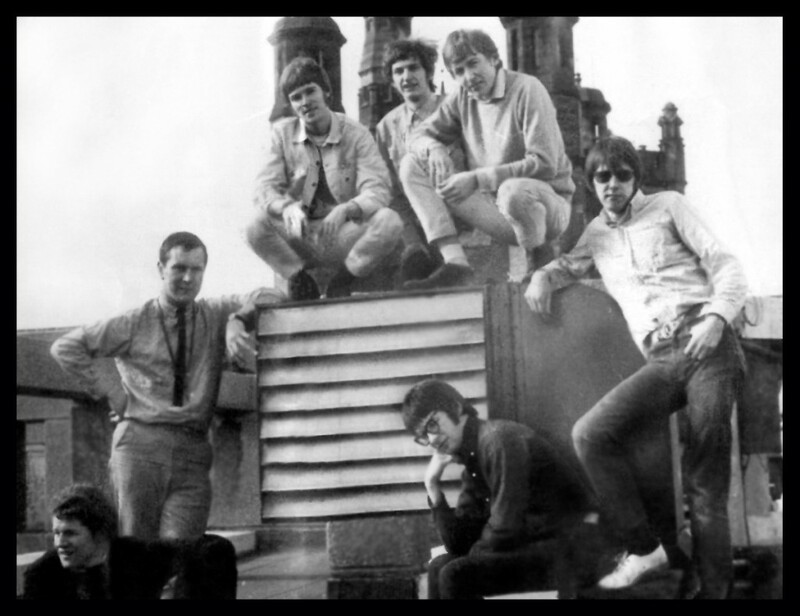 Their success probably had a lot to do with their manager, a guy called Colin Ratcliffe who also owned the City Blues’ bandmobile, a VW Kombi – a vital piece of equipment for a group of musicians with a limited income. My own band, Jazzboard had also taken the same route. We were playing songs such as “Mr. Pitiful”, “My Girl”, “In The Midnight Hour” and “Papa’s Got A Brand New Bag”. The Gas Board covered the same songs. It was inevitable, therefore, that a comparison would be drawn between the two bands, if only because the two bands names were so alike. Because of the similarity it must have been confusing for punters trying to work out which band was which. It would have also been confusing for the venues booking either Gas Board or Jazzboard. In the newspaper advert below, the 45 Club at Whitley Bay appears to be playing safe! 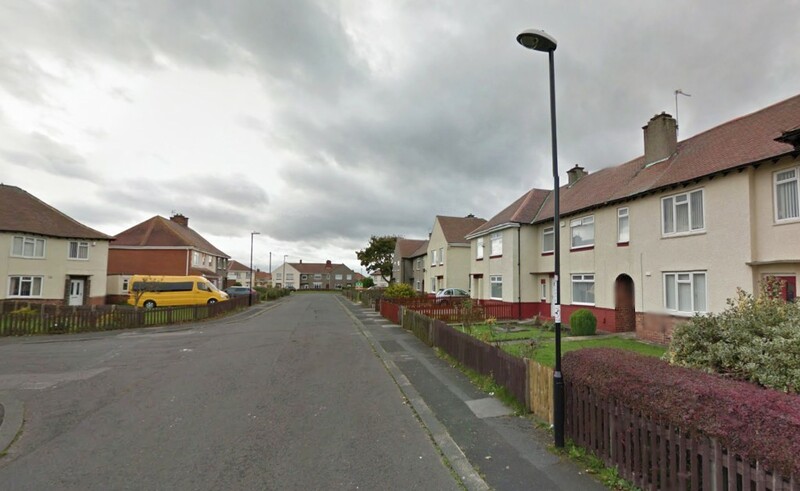 In reality the Jazzboard probably had a bigger foIlowing than Gas Board south of the River Tyne and on Teeside whereas in Newcastle and Northumberland Gas Board were the top dogs. I remember talking to a girl at a gig in Ashington, Northumberland who had seen the Gas Board numerous times. She said – “Well your band’s all right but you’re nothing compared to the Gas Board.” I’d heard from someone else that although the Gas Board was good, the brass section wasn’t very tight and didn’t play as a unit; more like three musicians doing their own thing. I recall playing at the Club A’Gogo for the first time with Jazzboard in December 1965. One of the Gas Board’s saxophone players was there and asked if he could sit in with us. He was a bit presumptuous because he already had his sax out of its case. I told him it was OK and he joined us on stage. However, it must have sounded awful because after one song he was ordered off stage by our manager who was convinced that his appearance was a plot by the Gas Board to sabotage our performance that night. 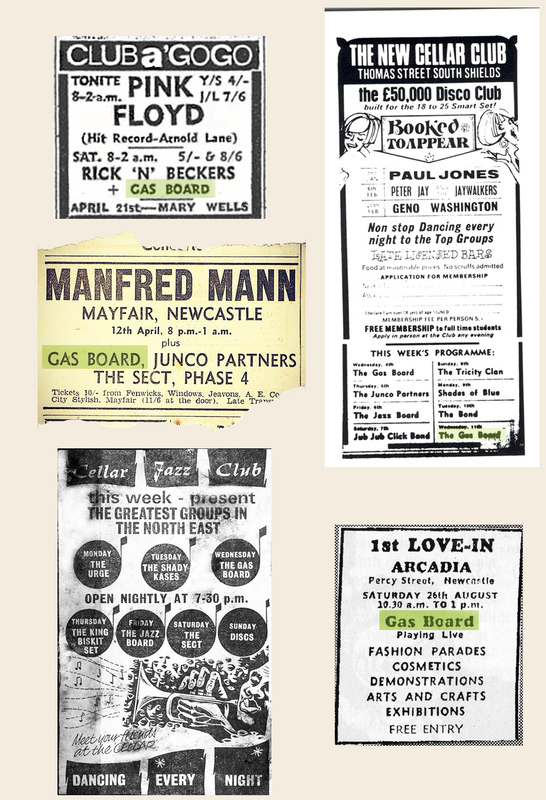 By the end of 1965 and into 1966 the Gas Board had a good reputation in the northeast and was playing at the best venues in the region, including the prestigious Club A’Gogo and the Mayfair Ballroom. 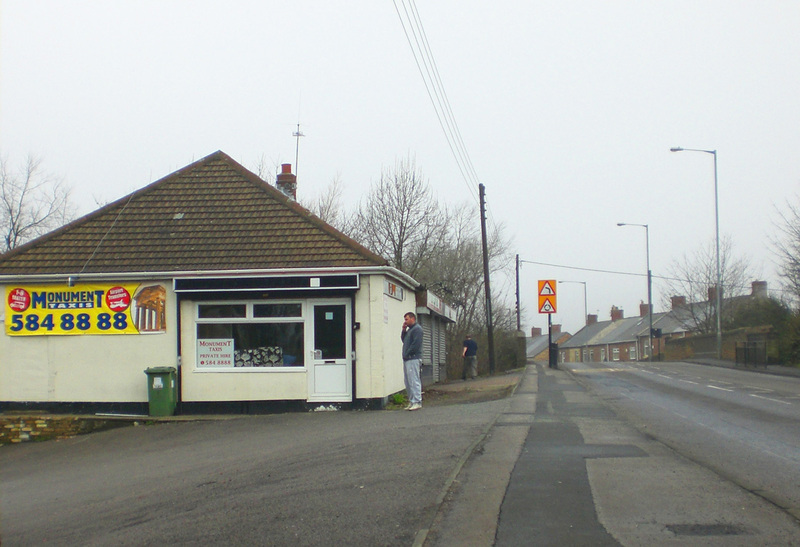 Also the band played at Sunderland’s main club – the El Cubana. Eric Puncheon who owned the El Cubana in the sixties remembers the City Blues and the Gas Board appearing at his club numerous times. He also remembers that the utility company – the actual Gas Board weren’t happy about their name being used by a group of musicians. In particular, because their name was being used in Sunderland Echo newspaper adverts for the El Cubana. According to Eric, the local Gas Board boss took his annoyance out on one of the company’s employees, a Fred Barnes, who also happened to work for Eric as a doorman at the El Cubana. 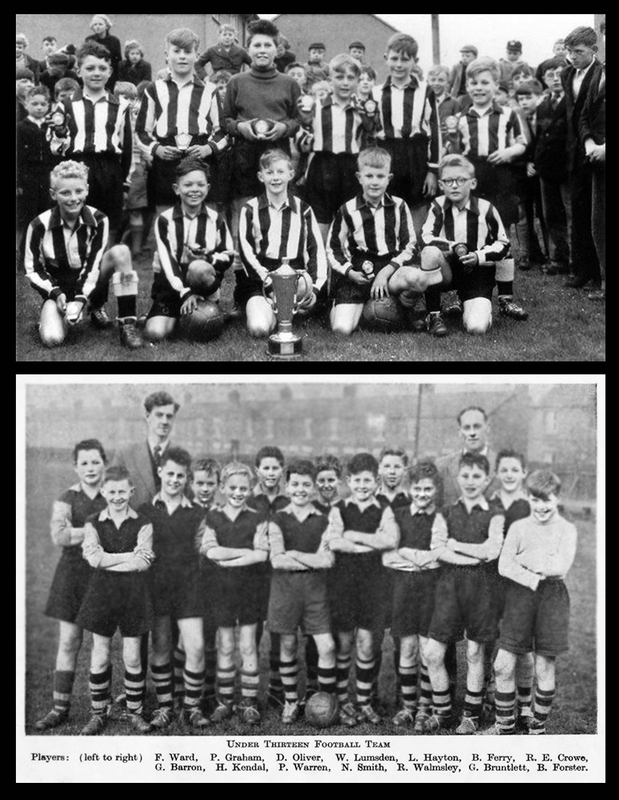 In 1965 and 1966 the band was being managed by Malcolm Dix who is now a key figure on the northeast sports scene. As well as playing at the Club A’Gogo with the Gas Board, Bryan Ferry was also a regular visitor to the club. In fact, he had helped artist David Sweetman paint the famous Day-Glo Skyline mural on the wall of the Jazz Lounge at the club. 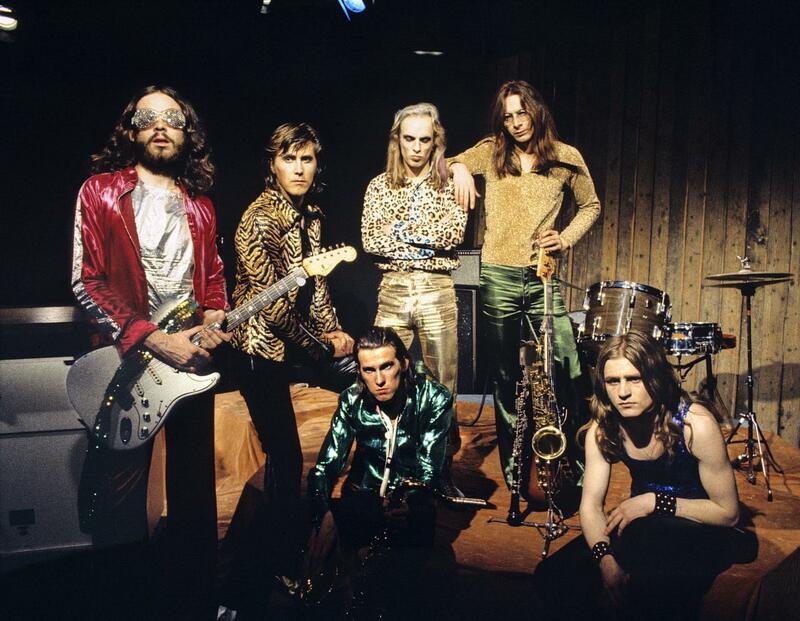 Others members of the Gas Board were John Porter, now a successful record producer, bassist Graham Simpson who would have an important roll in Roxy Music’s first album and trumpeter Mike Figgis who would later become a film director and producer. 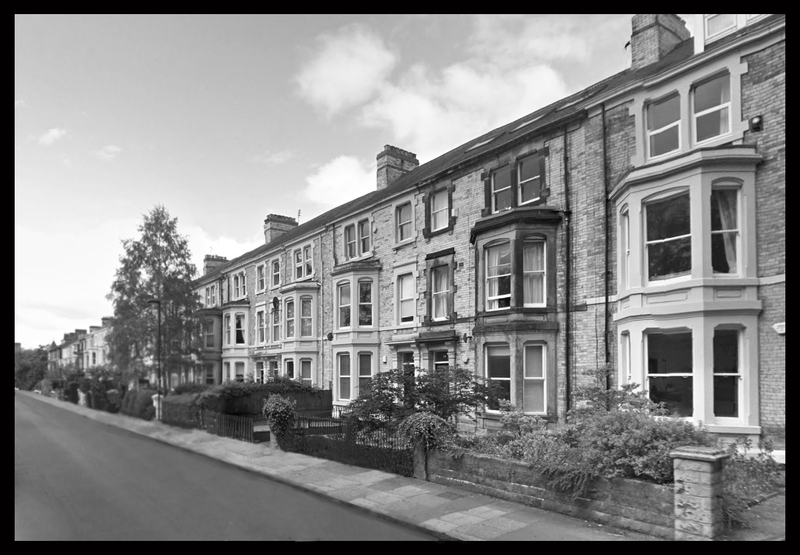 By his second year at university, Bryan Ferry had moved out of the halls of residence and was living in Jesmond at Esslington Terrace. In his third year he acquired an American Studebaker Champion saloon which he parked outside his home. He admits that the flashy car was used more to enhance his cool image rather than as a means of transport. Not long after Bryan Ferry formed Roxy music – and as they say -‘the rest is history’. Ironically i got to see 'The Gas Board' at the gogo - I think in '67 when a friend of mine confused the two boarDS - we were supposed to be seEing 'Jazz' but when we got there it was 'Gas'. Roger is right, ferry had huge charisma from the get go. A met him back in the day in sunderland's annabels and bumped into him a few years ago and mentioned the 'Gas Board' to him - he was blown away and we had a nice chat. A great tallent and contrary to some opinions not the least bit pretentious. Sophisticated yes - pretentious no! I loVe this site - it is so well done & Written. Roger's love of music drips off the page. THe site capitalizes everything, but reading this article is like uncovering a family history from 200 years ago. 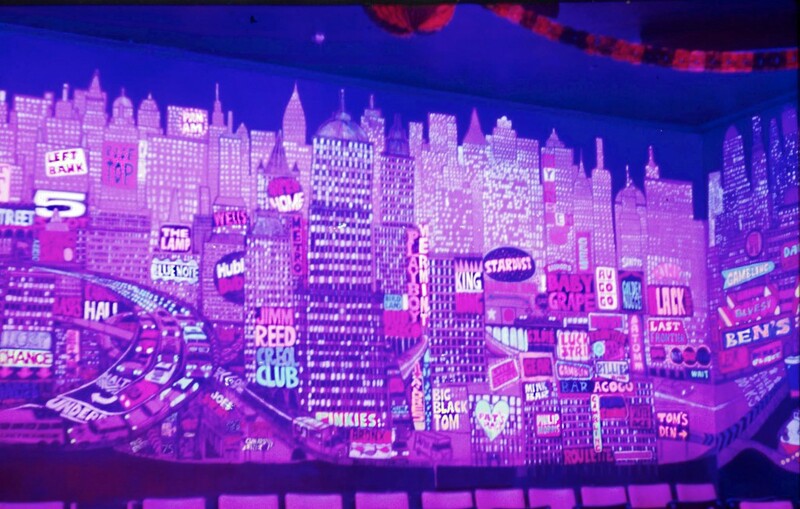 I was part of the Team at the GoGo and helped the artist Big Phil with decorating the young set cubicles with decoupage and added some uv reactive paint to the Jazz Lounge Mural I do not remember BF helping but perhaps my memories are not as vivid as I had thought. The upper level of Handysides was accessed from the back of Malcolm's Legalite Roulette room next to the mural and it was in the Print /staff room in the arcade that all the paint and materials were kept and we spent many daytime hours decorating. Update:- City Blues lead guitarist was Martin H now living in Carmel in the USA and last heard of drummer Mark P was also in States - Silicon Valley. It appears pianist Phil Chugg passed away in 2017, in Tasmania where he resided. As to the Bass player - Was his name Bob Trattles ?? ?